In India, cricket is considered religion. This adage was once again proved during the ICC Cricket World Cup 2015. The cumulative reach till the semi-finals stage, reached 635 million, every second Indian tuning in to watch. The 2014 edition of the IPL, which reached 560 million Indian viewers, is the second most watched cricket tournament ever. 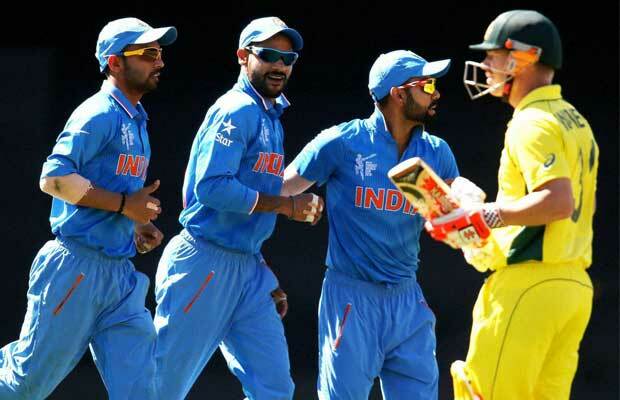 India bowed out of the tournament after a crushing defeat by Australia (who went on to win the cup for the fifth time) in the semi-finals at Sydney, but the match was the most watched in India during this edition of the tournament. A record 309 million Indians (TAM Panel CS4+ extrapolated to the universe using a standard conversion factor) tuned in to watch India’s semi-final clash, bettering the blockbuster India versus Pakistan group stage clash in terms of reach (288 million). The match rated 15.0 TVR, with the STAR Network registering ratings of 12.7 TVR and Doordarshan (DD) getting 2.3 TVR (TAM data M15+ ABC). The India-Australia match reach and ratings, however, did not surpass the reach and viewership numbers of the India-Sri Lanka final in 2011, which clocked a reach of close to 400 million and viewership ratings in the range of 25 TVR. This World Cup was positioned as the ‘Cup for All’, with the first ever broadcast of the tournament in six languages – Bengali, Tamil, Malayalam and Kannada, apart from English and Hindi. The regional feed strategy proved successful, with Hindi and regional feeds contributing to 77 per cent of the overall viewership. Uday Shankar, chief executive officer CEO, STAR India, said, “ICC Cricket World Cup 2015 has been an epic event in terms of scale, reach and following. With over 600 million viewers, largest aggregation of advertisers ever and one of the most talked about marketing campaigns, this edition has validated that there is nothing bigger than the World Cup for Indian consumers. On the back of the regional feeds, this edition saw unprecedented advertising options for brands looking to associate with the World Cup. 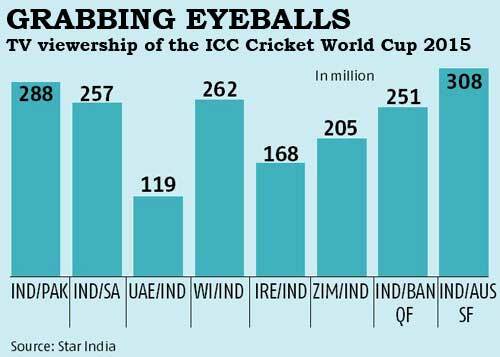 With many first time World Cup sponsors advertising in this edition, the advertiser count for the ICC Cricket World Cup 2015 has been the highest ever, 50 per cent more than the last one.